Shakti Durga shares insights from questions she has been asked in recent mentoring classes online. 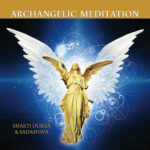 If you have a question you’d like Shakti Durga to answer, you can leave a comment on her Facebook page. Or use the contact form on her website. Q Everyday I have been working on different chakras and received various experiences of bliss. However we live in the real world where it reduces our joy and even bring us down to sadness. Shall I clean my chakra in the evening and bath in salt water in this instance? The 28 Jewels is my daily practice. A Congratulations this is a really great effort. I am glad you are experiencing the bliss. One of the things I do is that I bless my life, my home, my family and my work life. I imagine the energy of bliss going to everyone I will meet and into all of the situations in my life, particularly into any areas that are challenging. Cleaning your chakras at the end of the day and bathing in salt water will further help you to maintain a high energy vibration. You can access the 28 Jewels program in the online shop.